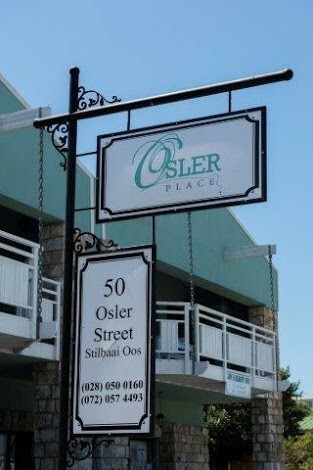 Osler Place is situated in the picturesque Sea Side town of Still Bay or Bay of the Sleeping Beauty. 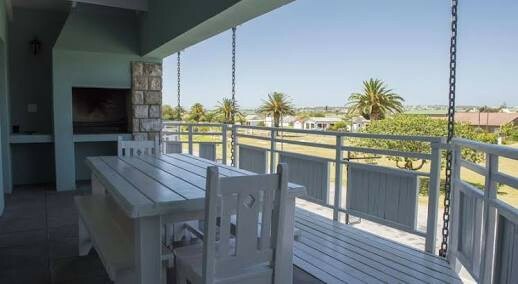 Still Bay forms part of the Western Cape’s famous Garden route and is a mere 26km from the N2 Highway between Mossel Bay and Riversdale. Still Bay boasts long stretches of white sandy Beaches as well as an estuary where the Goukou River meets the Indian Ocean. The river is navigable for 15Km which makes it ideal for water sports enthusiasts of any kind. 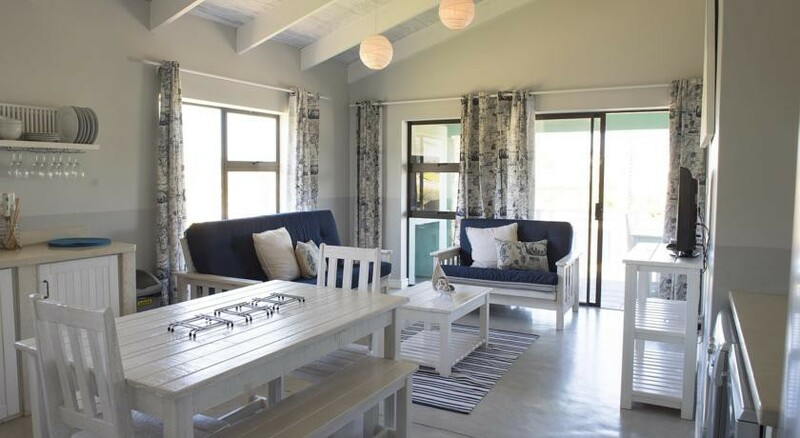 We offer six Luxury fully furnished, self-catering holiday apartments, each with three bedrooms, two bathrooms, an open-plan kitchen and living room, a patio with braai. We can accommodate big groups (36 people in total) and cleaning service is available on request. 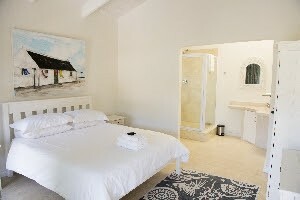 The main bedrooms have their own en-suite bathroom with a shower and a toilet, and a door leading onto the patio. The guest bathrooms have a shower, bath and toilet. 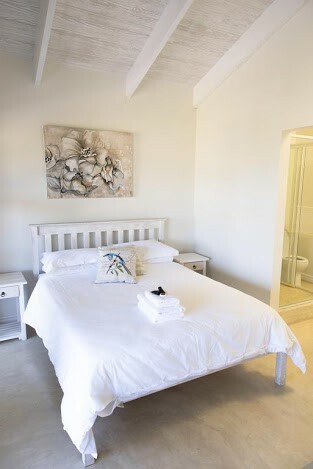 We supply all white linen, 100% cotton percale, and towels. 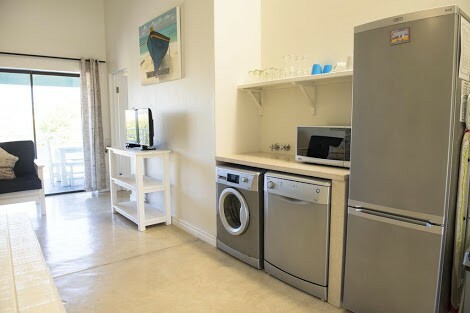 Our kitchens are fully equipped with washing machine and dishwasher, microwave, fridge and freezer as well as everything you would need for self catering. The lounge has comfortable furniture and a TV with DSTV (commercial package), no cards required. All the units are on the first floor and have free parking and lockup garage. 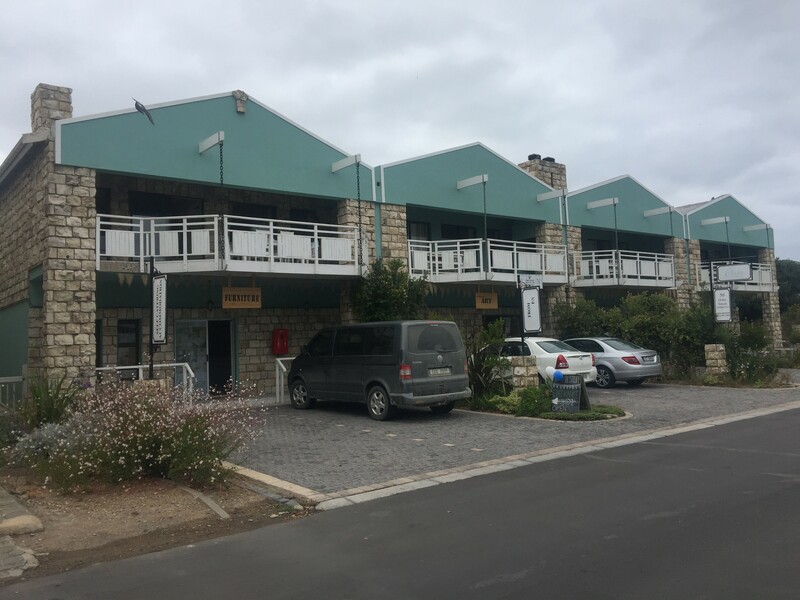 Osler Place is located in the east of Stilbaai and is within walking distance of the main beach, river and restaurants. Just across the street is an indigenous garden with walkways open to the public. We are within a 2 km radius of activities like fishing, skiing, boat trips, canoeing, boat and marine slipways and much more. Still Bay is one of the few safe towns where children can still play outside and ride bicycle in the streets.